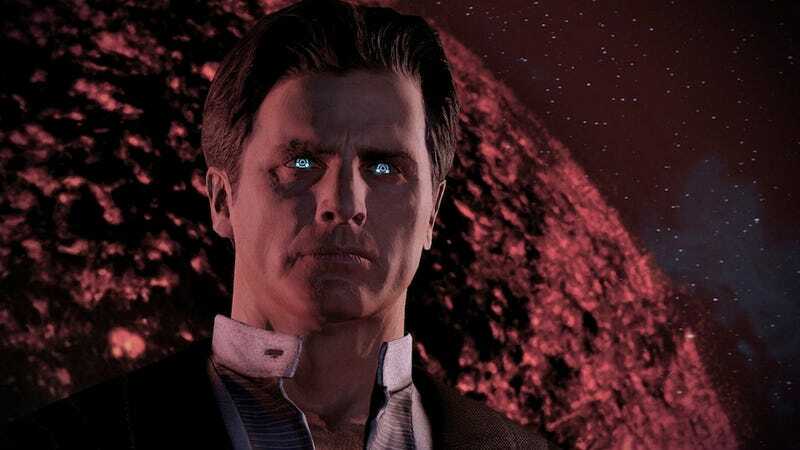 BioWare is planning to flesh out the existing ending of Mass Effect 3, but that doesn't mean fans haven't already done some fleshing-out of their own. The much-discussed "Indoctrination Theory" floats the notion that Shepard in fact didn't make it to the final decision at all, and that much of the controversial ending took place in his/her mind. The decisions at the end (or at least, two of them) are controlled entirely by the Reapers. But what do BioWare's developers think? At a PAX East panel today attended by Kotaku's Kate Cox, one of the panelists allowed that the indoctrination theory "illustrates how committed the [Mass Effect] fanbase is," but said that while "fans will interpret it in their own way," they didn't want to comment either way for fear of being "prescriptive." Plus, they've got that "Extended Cut" DLC to make. "We want the content to speak for itself, and we'll let it do so." That response gives me the impression that BioWare didn't expressly intend the Indoctrination Theory's interpretation. But who knows? It's always possible that they've got a suuuuper good poker face and are really going to blow our minds this summer. Check out Kate's full liveblog of the Mass Effect panel here.